I've been working on all the various projects that I posted about last week. Here's the upper body of the stuffed pig. 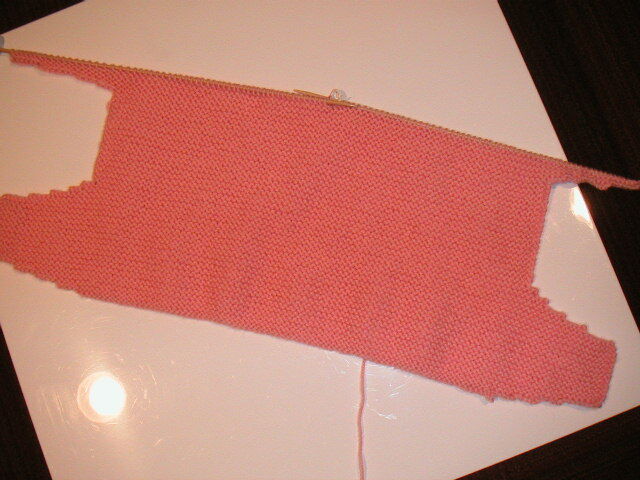 I'm using Rowan DK Wool in the perfect shade of pink. 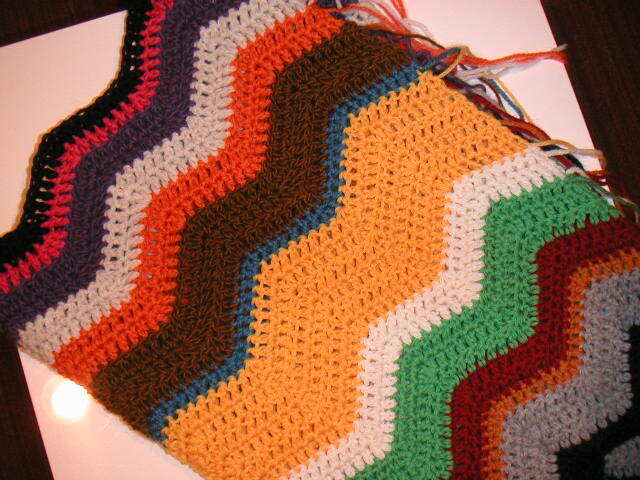 I keep trucking along on the ripple afghan. So far, I haven't repeated any colors since I've got so much stash to use up. I also draped a sleeveless dress in muslin over the weekend. I have to true up the pattern pieces, sew a sample, and then refit the pattern. All of these other projects left me no time to continue further exploration with the knitting machine!